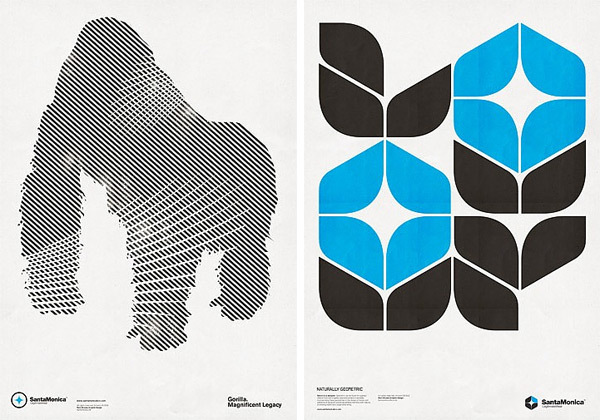 Beautiful minimalist posters by Mark Brooks for Santa Monica Legitimate Wear in Barcelona. 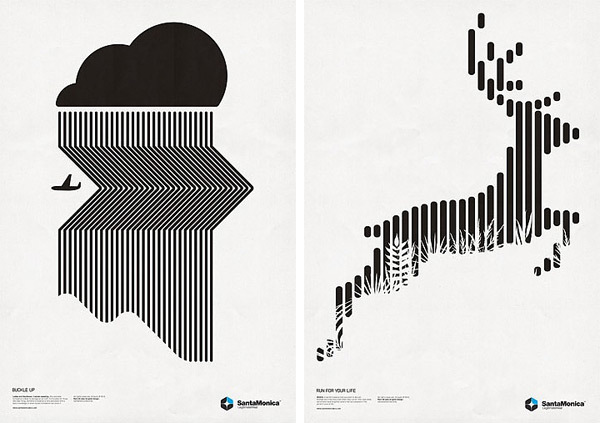 My favorite is definitely the Turbulence poster above, and the Deer, Gorilla, and Giraffe aren’t exactly what you’d expect too! 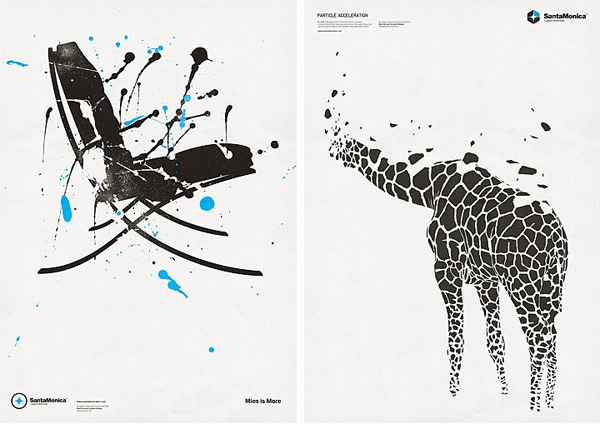 Mies is more takes a splattery look at the Barcelona chair… check them out on the next page! Beautiful indeed. The Santa Monica site seems to be down for the moment though.